1 Bed, 1 Bath, 1 Parking. Just 2 Blocks To The Waikiki Beach! Large 1BR Corner Unit! Ocean / City / Mountain View !!! Amazing High Floor Large Corner 1 BR With Ocean & Mountain View! Free Parking! Amazing Ocean View corner unit on 25th floor! 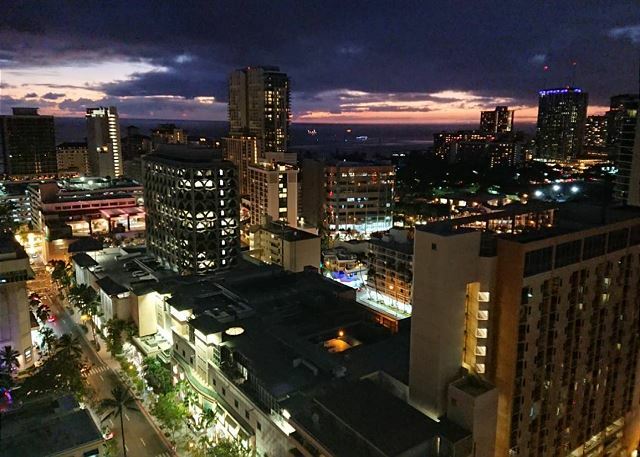 as well as a panoramic view from the lanai with views of both the historic Ala Wai Canal, ocean, city, mountains surrounding Waikiki. Have breakfast on the lanai, enjoy the amazing fireworks at Hilton hawaiian on Friday evenings. Nicely upgraded and fully furnished for your convenient located in the center of Waikiki and so convenient for shopping, dining, beach-going... everything that Waikiki offers! 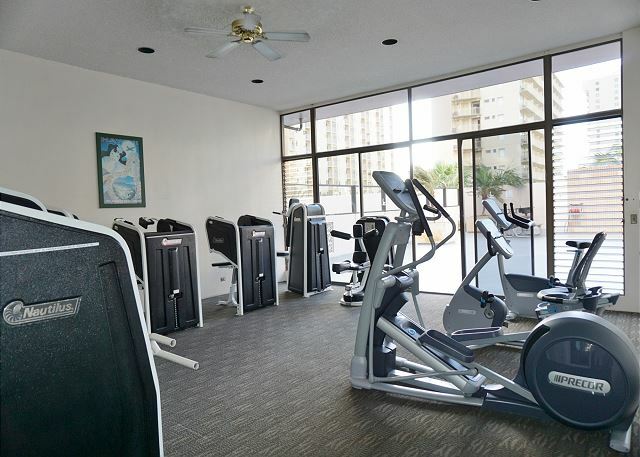 There are tons of activities on property including swimming pool, ping pong, pool tables, pool side exercise room, basket ball, BBQ, and shuffle board. Building amenities also include a FREE reserved parking space, business center, and 24 hour security. Rooms Sleeps 4, 1 Bed, 1 Bath, 1 Parking. Just 2 Blocks To The Waikiki Beach! All good. Place was nice, easy check in and access to unit. Had everything one would need for a short or extended stay. Could use a paint refresh but its just due to lots of visitors. Pool was closed for renovation on deck. The fitness room had lots of people trying to use it but it has limited equipment so some would just leave. Great location, parking spot included which is great. Condo was absolutely fine- comfy beds, clean, nothing wrong with this one! Only downsides: few towels (why so scrimpy? ), pool is unheated so ice-cold (bummer! ), and white curtains so bring your eye mask to sleep. The rental place is complete even with hotel-like toiletries. The view is amazing and everything you need is available (parking, cookware, plates, etc.). Location to the beach, to restaurants, and transportation can't be beat too. Awesome place! Thank you so much for the stay! This room was good to stay for both short and long holidays thanks to the location. If the floor would be more clean, it would be great! you can see the such a nice sunset from room!!! Even if I go out at night, I am not so scared. There were strange people shouting naked on the other side of the road at night, though. Security is also firm and I am relieved. Because it was the 25th floor, there were no insects, and the view was good. It was disappointing that there was no air conditioner in the bedroom. It was a meaningful stay. The Hawaiian ingredients were cooked every day, and a vacation was enjoyed while looking at outside from the rather long good room. I go out to shopping to a supermarket by car, walk supply of the ingredients and go out to Waikiki, fireworks are seen and a shopping is enjoyed, and if, a meaningful vacation was enjoyed.